Vellore District Court Recruitment 2019 - Job notification for 72 Steno-Typist, Night Watchman & Other Posts in Vellore District Court, Tamil Nadu on a Temporary Basis. Applications are invited by Vellore District Court, Tamil Nadu on or before 24 Apr 2019 till 05:45 PM for 72 vacancies. Eligible candidates may send their application in prescribed format (attached below) to "The Principal District Judge, Principal District Court, Vellore- ­632 009." 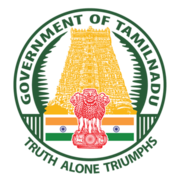 on or before 24 Apr 2019 05:45 PM, along with passport size photos affixed on the Right margin of the application, in the space provided, as mentioned self-attested copies of all education certificates, priority certificates if any (Physically challenged, Destitute Widow, Inter­caste marriage & others) and other certificates alone should be submitted through registered post only.